The search engine has introduced a new Smart Bidding strategy in order to maximise reach and awareness. 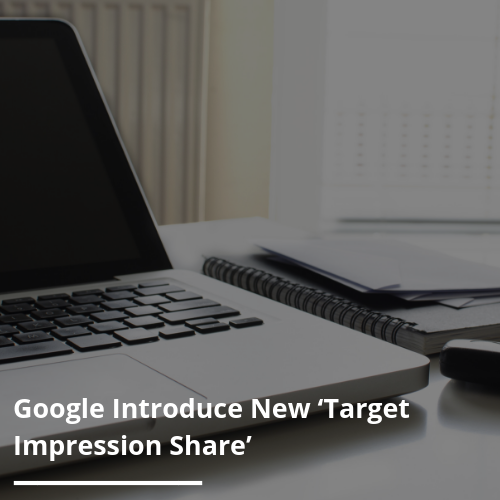 This new Smart Bidding strategy, ‘Target Impression Share’ has been introduced for advertisers who are looking to maximise reach from their paid search campaigns. Absolute top of the page (position one). Anywhere on the page (above or below the organic results). Top of the page (above the organic results). This is the fourth Smart Bidding method designed to automate the bidding process and the first of its kind aimed at reach and awareness.